Five years ago, the Academy of Motion Picture Arts and Sciences embarked on a mission to diversify its ranks — to make its overwhelmingly old, white, male demographic makeup look more like America. Mission accomplished: This morning’s nominations reflect a completely polarized votership many of whose various constituencies can’t stand one another! The resemblance to real life is uncanny. In fact, today’s nominations offer something for, if not everyone, at least lots of different, siloed groups of someones. Those who mourned the quick demise of the misbegotten Best Popular Film Oscar that was floated in early 2018 should be heartened by the fact that this year’s eight-film Best Picture roster boasts not only Black Panther — the first superhero movie to crack the top tier and the third-highest domestic grosser in history — but two other films, Bohemian Rhapsody and A Star Is Born, that have already cracked $200 million in the U.S. (That pandering new prize is still under consideration; expect it to go away forever now, since it’s manifestly not needed.) Those who led the #OscarsSoWhite charge a couple of years back, while noting that Barry Jenkins’s If Beale Street Could Talk should have been rewarded with a lot more than three nominations, can celebrate Spike Lee’s first-ever Best Directing nomination (that’s insane, and may become a meaningful Oscar narrative in the next month), as well as the robust performance of his film BlacKkKlansman (six nominations, including Best Picture) and Black Panther (seven nominations). And those who wondered if anti-streaming bias would play into the voting can cheer not only the huge slate of nominations for Netflix’s Roma and the Best Documentary nod to Hulu’s Minding the Gap but, more unexpectedly, three nominations for Joel and Ethan Coen’s The Ballad of Buster Scruggs. In terms of taste, it’s never been clearer that the Oscar votership is no longer monolithic. The centrality of Green Book in the awards race so far has been baffling to me any number of critics, and its performance today (five nominations, including Best Picture, though not Director) is unlikely to slow it down. And Bohemian Rhapsody, another Best Picture nominee, currently sits at a 49 on Metacritic, making it the worst-reviewed film to compete for the top prize since … at least the existence of Metacritic. How to reconcile those picks with the breakthrough recognition for Black Panther, or Roma, or The Favourite? The answer is, you don’t. The Academy’s expansion of its membership — almost 30 percent of its votership joined in the last four years — went in many directions and is going to have a different visible effect every year. While race and gender got the most attention, the most underdiscussed recent push has been a massive effort to internationalize its ranks, and that effort is strikingly reflected in this year’s field. Roma’s ten nominations make it the most Oscar-recognized foreign-language film in history, and the film that co-leads the field, The Favourite, is directed by Yorgos Lanthimos, who was competing for Best Foreign Language Film just a few years ago for Dogtooth. Lanthimos and Alfonso Cuarón are joined in the Best Directing race by Pawel Pawlikowski, whose Polish film Cold War also won nominations for Best Foreign Language Film and Best Cinematography. (The last time two directors of foreign-language films competed for best director? 1976.) And in Best Cinematography, Roma and Cold War were joined by a selection nobody saw coming (except, apparently, the cinematography branch): the German film Never Look Away (it almost certainly helped that it was shot by the revered American veteran Caleb Deschanel). 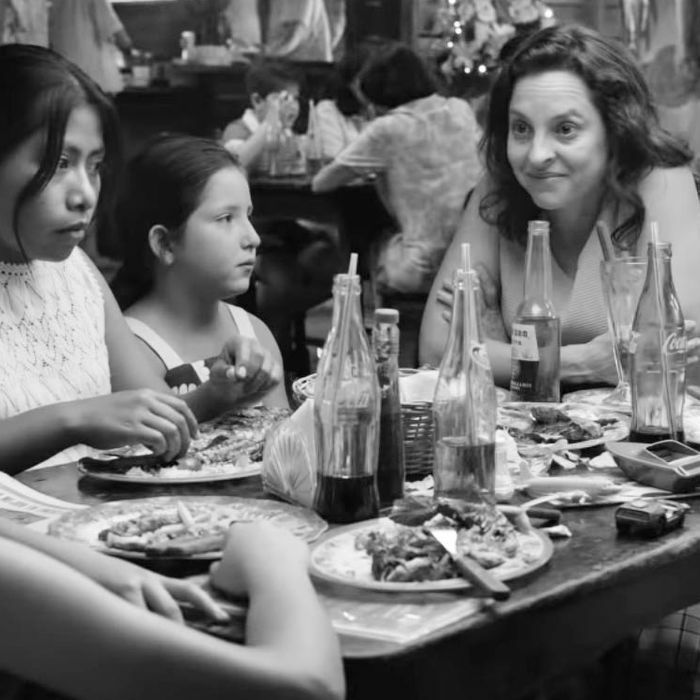 Add in the unknown-as-of-six-months-ago Yalitza Aparicio and Marina de Tavira both scoring nominations for Roma, and the surprising to many inclusion of the German documentary Of Fathers and Sons (which knocked the American doc hits Won’t You Be My Neighbor? and Three Identical Strangers aside to make the final five) and it seems clear that Academy voters are looking at a wider and more international array of films than they were a decade ago. It’s hard to discern a narrative in the overall list, and that’s a good thing. As its membership pushes toward 10,000, the Academy is now composed of people who can’t stand the straightwashing of Bohemian Rhapsody or the both-sides-ism of Green Book, and others who don’t think that comic-book movies like Black Panther should compete for the top prize, and others who think a black-and-white foreign-language film from a streaming service leading the field is basically a visible manifestation of the apocalypse, and who think that angry political movies like Vice and BlacKkKlansman will turn off Real America. And clearly, it’s also composed of slightly more people who, case by case, completely disagree. It’s hard to imagine a lineup more reflective of this churningly angry years-long moment — and almost as hard to imagine what, of the eight nominees, will effectively enough disguise itself as a consensus choice in a nonconsensus universe and make it to the finish line.